This is the final newsletter of the S2Biom project. All project activities have been finalized until the end of November, 2016 and in the following months – extensive reporting work have been implemented by S2Biom project partners to summarize and publish all relevant S2Biom project outcomes. Complete S2Biom projects are now available! 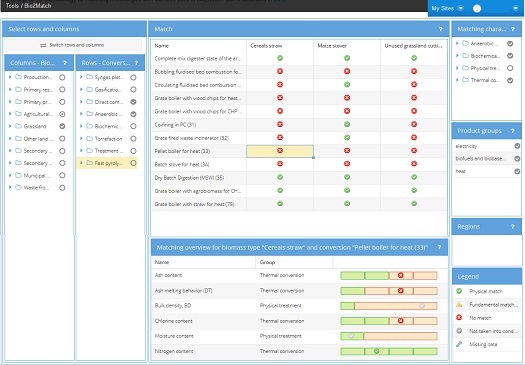 The S2Biom project has developed a sophisticated but still user friendly computerised toolset which is intended to aid research, industry and policy makers in their work. This service is free of charge and open to everyone. 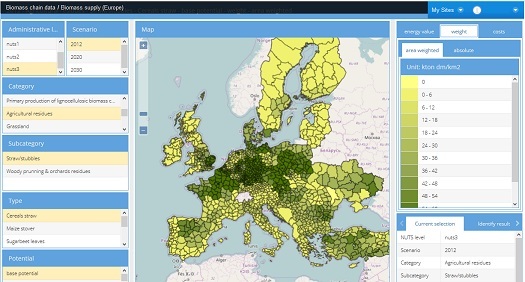 S2Biom toolset and the respective data sets cover information and data for EU28, Western Balkans, Moldova, Turkey and Ukraine. The toolset consists of several tools, which can be used by researchers, policy makers, regional and development planners as well as biomass project developers and investors involved in the whole lignocellulosic biomass supply chain. 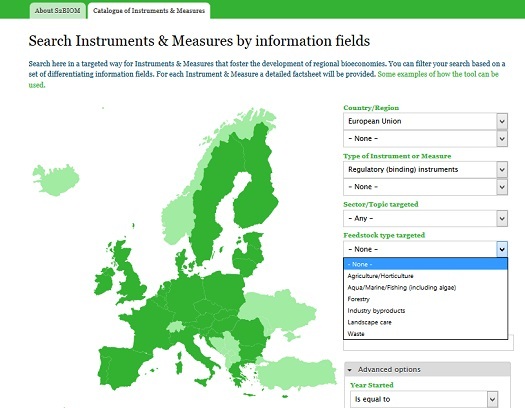 Check out the S2Biom tools at www.biomass-tools.eu! What is sustainable potential of biomass for 2012, 2020 and 2030? Which biomass and how much is available in your region? Biomass supply and cost information is spatially detailed up to regional (NUTS3) level. Detailed information per country can also be downloaded in the form of excel sheets. For this open the tab ‘Data downloads’ (in the main menu). Which conversion pathways are appropriate for biomass in your region? Is there a need for biomass pre-treatment? ‘Bio2Match’ works using the database of biomass properties and the database of conversion technologies. Both databases can be used independently as comprehensive information sources. They contain data about typical properties of various biomass types and factsheets of more than 50 conversion technologies. Which policies are used in individual countries to support biomass use for energy and the bio-based economy? What policies are used in other countries and are the best practice examples? The policy tool works based on the database which contains information about more than 660 policy instruments and measures. Detailed information is also available in the form of factsheets which can be downloaded from the toolset in the tab ‘Data downloads’ (in the main menu). ‘BeWhere’ Tool: is used to identify optimal locations of biomass conversion plants in any particular region. BeWhere provides optimal selection of technology, location and capacity of bio-energy production plants, based on the minimization of the costs and emissions of the whole supply chain, in order to meet a pre-defined energy demand competing against the actual fossil fuel energy commodities. The model keeps track of the costs, the emissions of each segment of the supply chain, the total bio-energy and biomaterial demand and avoided emissions. ‘LocaGIStics’ Tool: is used to design and evaluate optimal biomass logistic chains at a local level. Output from BeWhere can be used as input for further analysis and more precise chain design and evaluation in the LocAGistics tool. Applications of the logistic planning tools are presented in S2Biom project case studies in Burgundy (France), Aragon (Spain) and Central Finland. S2Biom results include also national roadmaps for lignocellulosic biomass and relevant policies for a bio-based economy in 2030 for all EU-28 countries, Western Balkans, Moldova, Turkey and Ukraine. Check out what results and recommendations are made for your country! Full list of S2Biom reports and publications is available HERE! On 30th of November, 2016 the final S2Biom dissemination workshop has been organised in Bratislava, Slovakia. The workshop was a part of the joint event “Biomass for growth: potentials and challenges of bioenergy in the Danube Region” and took place at the DOUBLE TREE by Hilton Hotel in Bratislava, Slovakia. 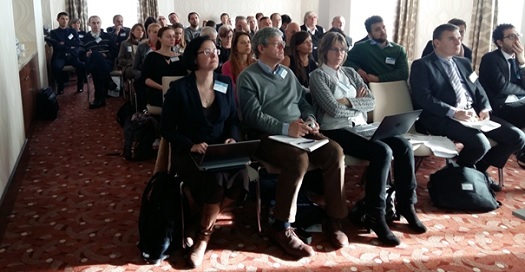 The workshop was one of the side events of 'SET Plan – Central European Energy Conference X' and was organised in cooperation between Danube – INCO.NET and S2Biom projects. During the workshop the main outcomes of the S2Biom project have been presented, including demonstration of integrated toolsed, results of the S2Biom case studies, as well biomass assessment and policy roadmap for the Danube region countries. Presentations of the conference are published on the S2Biom website.